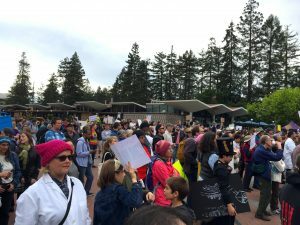 At the urging of my STEM-educated husband, I went to the UC Berkeley campus on Saturday for the science march. 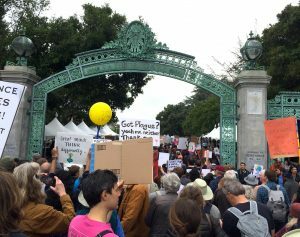 Despite living six years in Berkeley during my PhD work, this was my first protest at Sproul Plaza, site of the Free Speech Movement of the sixties, and many legendary protests since. I had been avoiding this event because I don’t like crowds, and because I expected a flyover-state-bashing smug-fest from my fellow liberals. One of the distinct problems of the politics of our time is that they have become wholly tribal. The only explanation for the average non-ExxonMobil-affiliated conservative rejecting the science on climate change is that for some reason their tribe ended up on the other side. Unlike, say, guns or taxes, most conservatives have zero personal stake in the continuing use of fossil fuels. So seeing my own tribe of political liberals get together for what I thought would be a ritual shaming of the “red-state rubes” didn’t sound like my idea of a good time. I ended up having a great time. In part, because Sproul Plaza truly comes alive during a protest. I thought about Mario Savio standing on the steps of Sproul Hall and giving his fiery “Machine” speech during the Free Speech Movement, and I thought about how many other American social justice movements (Vietnam, nuclear disarmament, student-led Occupy and anti-racist movements) had been fired in this crucible of democracy. In general, I’m happy to see stakeholders from all interest groups get out and protest the Trump presidency. The nation is in crisis, and fighting for the survival of our democracy demands an all-hands-on-deck response. It may be easy to forget, but science is ethically neutral. It is capable both of curing cancer and creating sarin gas that liquefies the internal organs of innocent children. Science does not have the capability of erasing bigotry or bringing peace on earth. Sometimes scientists should consult English majors. 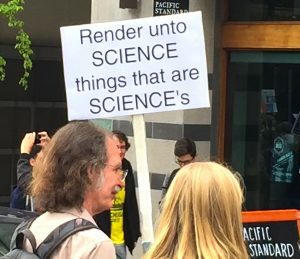 It was ironic that so many of the marchers had such unerring faith in the goodness of science when we were just steps away from the lab where Plutonium was first identified, and the office where Robert Oppenheimer hatched the Manhattan Project. In fact, every nuclear weapon in the United States arsenal was developed under the auspices of the University of California. Being with the science marchers impressed upon me that what the world needs now is a strong, vibrant, vocal Religious Left. People with theological, spiritual, and ethical training need to mediate between the competing truth claims of the white jackets with raised fists and the yeomen class with pitchforks. This is not a false equivalency argument. The part of the electorate that voted for Trump made a terrible mistake. Whether it was a mistake in judgment or a mistake in ethics—likely a little of both—it was wrong nonetheless. But we on the Left are kidding ourselves if we think that our motivations for resisting Trump are “objective” or “morally neutral.” We are practitioners of tribal politics as well. And “social justice” divorced from the mediating influence of thoughtful ethical and moral systems can become just as oppressive, just as objectifying as the wave of fear and mistrust that swept Trump into office. I went to the science march because I like science. And because specific Trump policies, like cutting funding for the National Institutes of Health, gutting climate change regulations, and using the EPA to reward polluters, are genuinely bad for the country. I did not go because I thought that science or reason would change the minds of Trump voters. Nor do I think that we on the Left possess a transcendent reality that is powerful in its simple objectivity. This country is in desperate need of moral leadership. If the Left respects knowledge, study, and expertise as much as it claims to, then it should be listening to the trained voices of conscience as much as the trained voices of science. Faith leaders, ethical humanists, philosophers, artists and writers of the spiritual, evokers of wisdom—this is the moment we have been waiting for. We have to call our fellow humans to their higher purpose; to help them recall that our commonality is not just in our corpuscles. We are more than biological beings. We are people of spirit and consciousness. Science may take us to the stars, but it cannot lead us to heaven. Through the Sather Gate. Saint Mario Savio, pray for us. Amen, sister! They could have quoted not only Pope Francis, but actual Vatican scientists! They study and speak out on anthropogenic climate change. We have come a long way from Galileo’s being arrested for heresy. And I love the English major caption. That’s why I work for the Rachel Carson Council. Rachel did English, biology, and ethics. Thanks for sharing on the Rachel Carson Council web site! I doubt that “Silent Spring” would have captured the imagination of the world the way it did if she couldn’t write! Oops! Amen, brother! 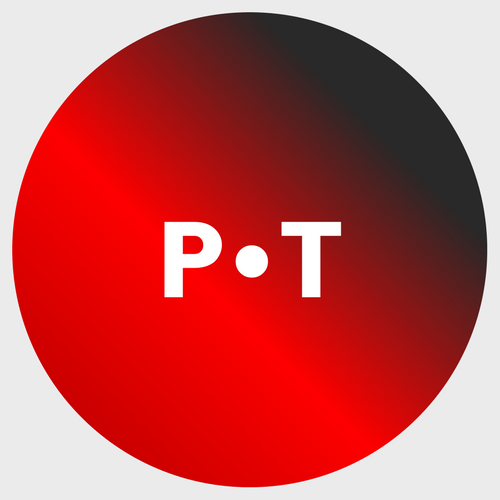 Blog was sent to me by a woman!